The holidays have arrived and with it comes so much hustle and bustle, fun and frolic but the best part of each holiday is the traditions we create with our families and revisit each year and down through the generations. This one came across my Facebook feed the other day. And I love it. Use that spare pumpkin that you didn’t cut for Halloween as your Thanksgiving Pumpkin. That’s right, the morning after Halloween begin celebrating Thanksgiving! How? Every day write on your pumpkin something you are thankful for . You can have one pumpkin per person or one pumpkin for all. You can have everyone contribute something each day or take turns naming the item of gratitude. The most difficult thing about appreciation and gratitude is acknowledging it. This is a beautiful way to acknowledge the blessings that are in our life and results in a wonderful centerpiece or decorations for the Thanksgiving family gathering. I like that this tradition has us practicing gratitude every day, even if it is just for a couple of weeks, it is powerful. I hope your children will embrace this tradition and pass it along to their little ones someday. There can never be too much gratitude in the world and today we seem to live in a world of too little. So let’s get our Thanksgiving Pumpkins started and build this Holiday back into the wonderful day of humble appreciation it once was. Happy Thanksgiving, Minions, you’re on my virtual pumpkin! The Most Amazing Day of my life happened 21 years ago today. It sure is amazing how fast time flies. There is nothing in the universe like the feelings you experience that first time you hold your baby in your arms. I will never, ever forget that moment. I send my thanks up to God for giving me a healthy, loving, intelligent, kind, generous, compassionate, funny, talented, health-conscious, beautiful son. I prayed that he would be born under the sign of Libra because he would need a calmness to remain sane among the chaos I was living in. I named him Dane because I wanted him to be strong and I wanted him to be his own person. And he is all of those things. Dane was born 3 days early, on the Libra-Scorpio cusp. God had answered my prayer. But more importantly, I am grateful that God made a way for us to extricate ourselves from the dangerous environment he was born into. I am grateful that Dane and I have a strong, loving bond. We are, after God, each other’s rock. I am grateful for his calm nature and awed by his ability to let negativity roll off his back. He is everything I had hoped he would become and so much more. I am blessed. Steadfast Friends Conquer Moving Day! You know you have great friends when, every 2 or 3 years you telephone your friends and reluctantly ask for their help in moving the lifetime of crap you’ve acquired and they come, time and time again, they continue to come, flying in like superheroes to rescue you. I have those kinds of friends and I am incredibly grateful for each and every one of them. After we were done loading up everything my son admitted that this was the most satisfying of all of my moves for him… I later discovered why. He and one of his friends hauled my very large, very heavy Quasar television to the dumpster. That thing would have worked for another 20 years. Quasar’s never die! And, he threw a full-size solid oak entertainment center down a flight of stairs (which he’d wanted me to get rid of for at least 7 years) and, to his delight, shattered it. The next morning he told his grandmother it felt like Christmas morning! He’d gotten rid of my two most difficult pieces to move and I am leaving the state he lives in. SCORE! Anyway, aside from that, all went smoothly with the strength, power, drive and determination of 8 wonderful friends at my side. Before we are even born she does all she can to make sure we are comfortable and healthy. When our favorite toy breaks and the universe is collapsing all around us, she holds us and makes us feel safe. When we suffer, she suffers. When no one else can be there, who finds a way? Linking up: It’s as simple as 1, 2, 3! I love it when I see people linking up to my linky parties! 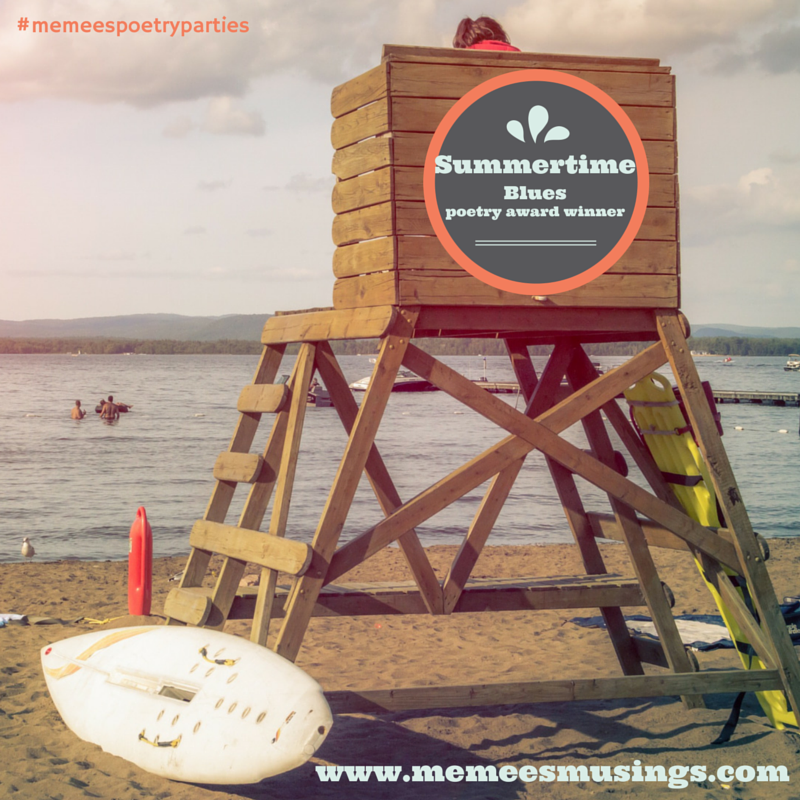 So you like the idea of my poetry party but think it is probably beyond your scope of ability to actually participate. The truth is, in fact, that it is remarkable easy to add a link, but extremely time consuming to put a linky party together and spread the word around, which is why I feel thankful for every single link brought to my punchbowl each month. I get an email telling me when a new link has been added and I feel a burst of excitement and an energetic surge of satisfaction knowing that I am helping them to find new, inspiring blogging friends, increased traffic and, I hope, it generates an excitement in them as well. 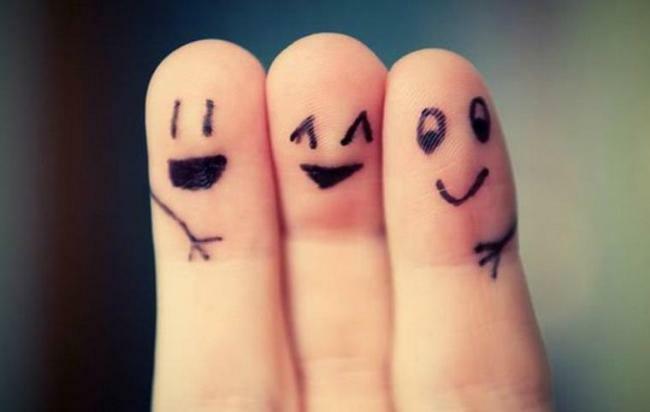 That’s me in the middle, perfectly happy in the arms of supporting friends. I have an amazing support network that is built atop decades of tried, tested and true friendships. My friendships are more than friendships, we are family. No matter which circle of friends I find myself spending time with, I am family to them and they are family for me. They accept and love me for me despite my struggles with bipolar disorder, they support the challenges I throw my hat toward, and challenge me when they believe I am making choices that are likely to lead to personal, emotional, or financial disaster. They are my rational voice when I am floating in a world of fantasy and desires. They are the ropes that tether me to reality. They are the most important tool in my belt. My friends have pride in me and the fact that I have stepped forward, off of the I-think-I-am-going-to-go-back-to-school platform and on to the I-am-back-in-school train. Their pride in me helps me to feel the pride in myself as well as giving me the motivation at times of weakness to continue forth. They understand why I have to study. They know what is at stake for me whether I succeed or whether I fail. I have friends who have offered for me to stay in their home rent-free while I concentrate on my studies because they know how difficult it is to juggle major life events. I have another friend who is excited to put her professional network into action to help me land my dream job after graduation.